From the beginning, The Dig have been a classic band’s band, and a true collaboration: three longtime friends, three songwriters, two singers in a true dual frontman setup, all individuals but all woven more and more tightly together as they have evolved. In a world that rewards drama, reckless moves and often-overwrought narrative twists, The Dig have bucked that trend by focusing on, well, the work: writing song after song to cast off more than they keep, and keep only the best. The Dig do a lot, and they do it the right way — building brick by brick, writing constantly, touring steadily, and most crucially, pushing themselves creatively to make better and better records. 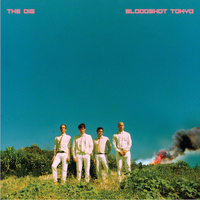 Which brings us, of course, to Bloodshot Tokyo, a record rich with ambition and a bright, irresistible ease. The result is a tremendously confident record, and one that’s far punchier than its predecessors. Even with veritable piles of songs to choose from, it feels oddly apt that Bloodshot Tokyo opens with the brief snippet that is “Ordinary Mind”. It is a sparkling, hugely inviting riff and a refrain that paves the way, just a small snippet too good to let go of. “Jet Black Hair” follows and is an undeniable A-sider, putting the band’s pop instincts front and center, never shying away from the groove but never weighed down by it, either. Lead single “Simple Love” moves stealthily, winking to just a little something retro but dancing across genres in an exhilaratingly modern way. 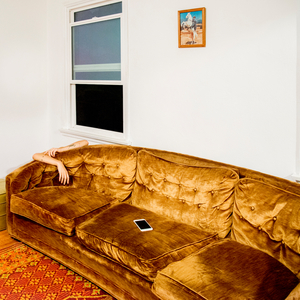 No band escapes talking about its influences, but its particularly telling that The Dig’s members often come back to The Kinks, Harry Nilsson, Betty Harris, Parliament, even Bach — artists who worked in the canon of their eras’ pop music, but always with an eye toward upending pop’s expectations, fraying the edges, getting weird. Baroque structures and subtle nods pop up throughout , in the low end of “Bleeding Heart” or the keyboard swirl of “Simple Love”, and they permeate the art surrounding this new collection, as well. Everywhere you look these days, there are “I could do that”-type cynics. But could they, really? And if they did, would they be able to maintain through the years the same wide-eyed spirit The Dig have had since the band’s two singers first started a Rage Against the Machine cover band together back when they were eleven years old? As it relates to one band’s rock record, it may seem strange to point out how cynical the world happens to be right now, but it takes dedication and a deep well of talent to do it like The Dig do it, and do it so well.